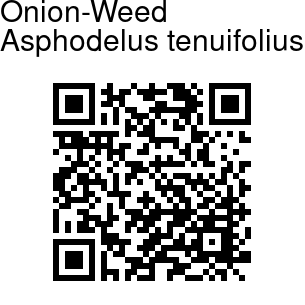 Onion-Weed is an annual or short-lived perennial herb growing a hollow stem up to 70 cm tall. The root system has a series of tuber-like parts at the base of the stem. The plant takes the form of a large tuft of onion-like rounded hollow leaves up to 30 cm long. The inflorescence is a panicle with widely-spaced flowers. Each flower is 0.5-1.2 cm wide with six tepals which are generally white or very pale pink with a neat central longitudinal stripe of brown to reddish-purple. The flowers are diurnal, closing at night and in overcast or low-light weather conditions. The fruit is a rounded capsule containing six seeds. 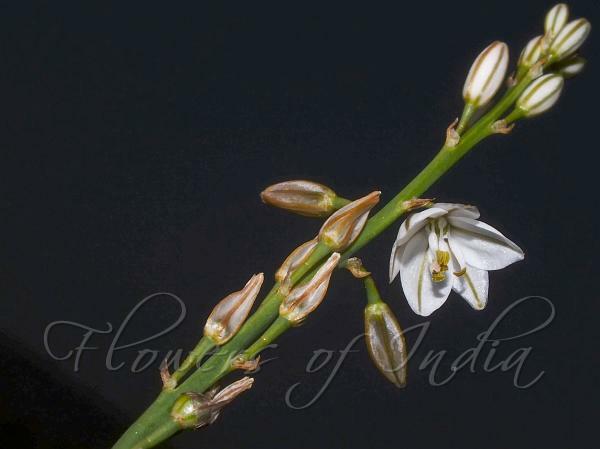 It is an invasive exotic weed coming from Africa, W. Asia and S. Europe, and has naturalized in parts of India.